Characterized by creativity & balanced with practicality, John Geier’s American House Design Company provides a highly personalized service from concept through to completion. As a full service Design firm, Clutch Design Studio utilizes the latest technology to provide an array Architectural and Interior services. Whether you want to completely remodel your home or you just want to work on one area of your home, all of us at Coggeshall Construction are here to give you exactly what you want and need. Global Construction is a full-service commercial and residential construction company serving the Denver, CO and Miami, FL. Our name represents our broad knowledge of the construction industry not only locally but all over the world. The name Global was chosen because of our Principals' extensive construction experience overseas on some of the most complex heavy industrial and residential projects. One of the owners built a village in Ghana with over 243 houses, 3 churches and a school including all infrastructure for the village. He built and provided owner representation and consulting services on some of the biggest gold mining sites in Cripple Creek, CO and Elko, Nevada. In our company one of the main principles is building relationships. We create long term partnerships with each of our clients and make sure they receive full attention to their needs. In our company it is all about our clients and their needs. That is why they return back to us. We provide a wide spectrum of construction services including Design-Build, Tenant Improvements, Restoration, New Construction, Remodeling and more. ATP Contractors specializes in a full range of remodeling and renovation services. We offer a single-source solution for all of your home improvement needs. Our mission is to tailor the design process to meet the unique needs of individual clients, while unlocking the true potential of their properties. An award-winning Boulder architect and interior design office, we want to stir the architecture community by creating what we call "Colorado Modern." 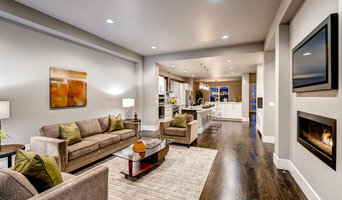 With more than 50 years of combined home building, remodeling and tenant finish experience, we can help transform an idea into a unique living or working space that fits your lifestyle and needs! Each of our clients is unique and so we bring unique and creative ideas to each project. Along with our client's passion and style, every project comes to life. Our goal is to stir up creativity and enthusiasm in each of our clients and expose them to interior design. We value the importance of listening to our clients and guiding them in the direction they want to go. In return, each project becomes the clients inhabitance; where they may live, laugh, entertain, work or play! 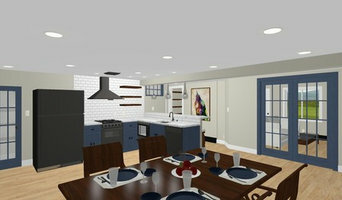 We want you, the client, to be pleased with your environment and to be comfortable in your surroundings, whether is a basement finish, a kitchen or bathroom remodel or designing an entire home. Most of all, we manage every aspect of the design process to ensure the finished project meets our standards and surpasses your expectations. What sets us apart from others, our art form. Here we believe that beautiful designs can come to life on any budget and for every taste. We can blend the old with new, from transitional tastes, to the rustic styles and sleek contemporary environments....whatever the heart desires. Interior Design is art and the artist is you, the client. We are just the tool to get you there. Our final goal: To enjoy what we do because we simply love it! Our mission is to provide our clients with the advantages of working with a smaller company while achieving the results that you would expect from a large company. 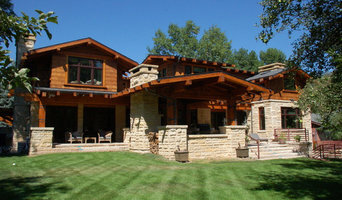 Tom Peterson is a Colorado Native and Colorado Architect who designs functional, comfortable and efficient buildings while striving to incorporate his clients visions. We are visionaries, building designers, consultants, & construction savvy professionals. Our mission is to understand the essence of each client as we collaborate to bring their dream space to life.